In this era going far seems to be an obvious choice for many professionals and doing masters is on their hit list. It is a common perception amongst people that having MBA on their resume is a must to climb the ladder of success. MBA is the tool to pursue their dreams! I remember my first day at office, where I desperately wanted to meet one non–MBA people’s managers, but alas I couldn’t! We leave our jobs to head towards a journey of pursuing dreams, dreams where we see ourselves as marketers, investment bankers and leading supply chain managers. There are thousands of students like me, who think that after doing MBA, “karlenge duniya mutthi mein” and if that is clubbed with a premium-B school, then it becomes a Baskin Robin’s Death by chocolate clubbed with awesome nuts! Something that everyone would aspire for. But to my utter pride aka dismay I have one such ice cream and I have no doubts it is truly an ice cream, whose expiry date is not known to anyone. It is fun, unless it’s all cream. 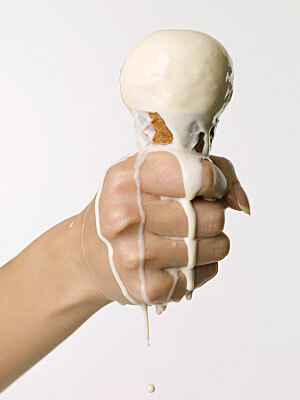 But I think none of us can deny that there are many ice creams are just hollow! Have we ever wondered that how many students even in premium B-Schools have hollow ice-creams. All of us do an in-depth financial analysis, as to what will be the ‘ROI’, how many years will it take for the loan to get repaid etc. But this is all quantitative; I believe none of us think towards the qualitative approach of MBA. Quality is not restricted to just entering a premium B-School, it is not just about owning the ice cream and becoming a rich fat Indian corporate leader P.S Fat refers to monetary health..:). And before I go ahead with this, I would like to assure my readers that financial health will never be affected and these B-schools tune you to make a money-making machine but the argument lies ahead. How about a child who dreamt of becoming a doctor, but is a multimillionaire lawyer after studying medicine. Have you ever wondered if it is satisfactory for a person of CA background to be earning like crazy by managing a team of software engineers? I know this appears vague at this moment, but this is the harsh reality to these so called “Premium B Schools”. A student who enters MBA with the aspiration of becoming a successful marketer, who is taught how to diversify his portfolio to minimise the risk, who learns how much to hedge in market to earn returns, ultimately ends up hedging his life. When newspapers speak of booming economy, NaMo is projected as the healthy job market mantra, then why is it that all B-schools are forcing students with single job sign out, why are students compelled into accepting their PPOs? Life at B-school is itself a case study to structure the randomness. A student who masters in marketing is ready to sell himself/herself to any company for a fat pay cheque. Premium companies are fighting with place-coms to get a Day-0 slot, and are ready to hire a marketer in finance role, because they saw the banker inside him which he himself couldn’t. A student who learns to hedge can’t risk his career, with the huge investment in his education, and ends up sitting for the companies in the order they visit, irrespective of his ambitions. A pun at B-school is that stress makes you learn to smile. The moment you are placed, you smile, but probably after a day you reflect on your aspirations. It’s only after one day of celebration of financial stability, that you realize that you wanted to be a brand manager of an FMCG, but now you will be convincing customers at a bank. It’s really sad when that realization dawns upon you; realising that while you headed out to be an investment banker, you will now coordinate with the finance team to get best budget for your product. You must be thinking what’s the point I want to drive! I want to question each one of us. Who is at fault?? The economy?? No! It’s booming, the government?? No, it’s radically changing the face of country, the B-schools?? No, they are giving us the secure career, the placement committees?? No, they are doing all that they can to bring in the best, the companies?? No, they are increasing the salaries more than inflation. And at this juncture, Bertrand Russell would make perfect sense who said, “The whole problem with the world is that fools and fanatics are always so certain of themselves, and wiser people so full of doubts”. Hi Manvi, your article provides a good way to look at today’s scenario. But still what pays the bills is what keeps us going. What are your views on that? Very aptly written and correctly reflects today’s scenario! There is actually no way out. You either hedge too much (yes, some people do, some do reject PPOs from top notch FMCGs to join leading consult firms)…else accept your luck! Companies will still keep on fighting for every minute with place-com…students will keep on shouting agaist single job scenario…some selfless poor will keep on working hard to make some dream true! Situation is not going to change. Nope, at least not now!